Let’s Think of Social Issues. We are constantly faced by social issues within our society. And because of the complexities, social issues cannot be tackled alone. We need to collaborate with others. We need new and innovative solutions – hence the need for design thinking. Design thinking is an optimistic, constructive, and experiential way to address the problems or needs of the people and the infrastructure that enables it. Both businesses and nonprofit organizations use design thinking to develop better solutions to social problems. Design thinking allows innovative solutions to comes from society or grassroots rather than being imposed from the top. 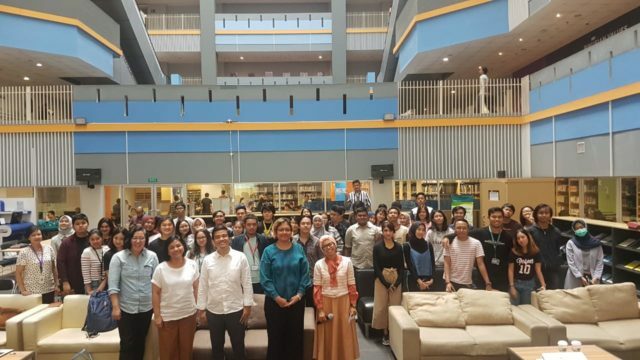 Because of the current urgency for human-centered and design thinking, Communication Department Binus University held an international seminar on Friday, April 5, 2019. In this seminar, our department invited two distinguished speakers from major nonprofit organizations in Indonesia: Ms. Emilia from Helen Keller International and Mr. Iwan Hasan whom a team leader of the European Union for the ASEAN region. During the seminar, both of the speakers shared their expertise and case studies regarding social issues in Indonesia. The goal of this seminar is to build awareness about other less-fortunate people of society. The venue was packed with eager audiences. Questions from mass communication students mostly about youth participation in the society or how to be the agent of change. We certainly hope communication students can gain knowledge and be the change for greater goods. Why We Should Make Timeline for Our Social Media?